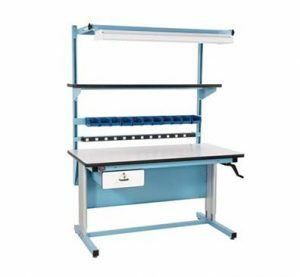 View cart “ErgoSpec Height Adjustable L-Shaped Workstation – Top & Base” has been added to your cart. 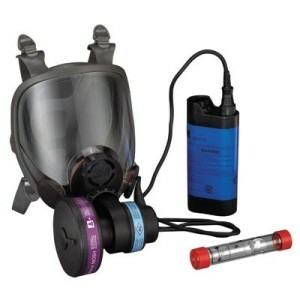 Fast-paced work style? 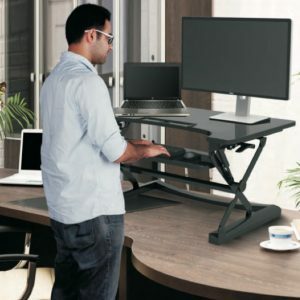 This dual monitor adjustable height desk is a great solution. 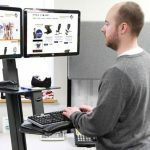 The TASKMATE Go provides dual monitor arm if you need to support two screens. 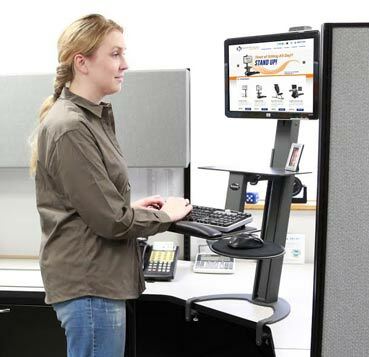 An great option for a sit stand workstation that will work just as hard as you do. 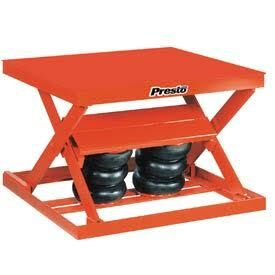 Fast-paced work style? 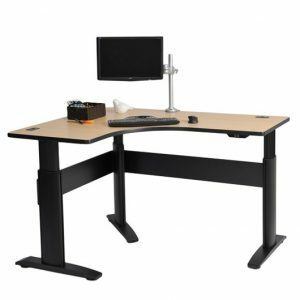 This dual monitor adjustable height desk is a great solution. 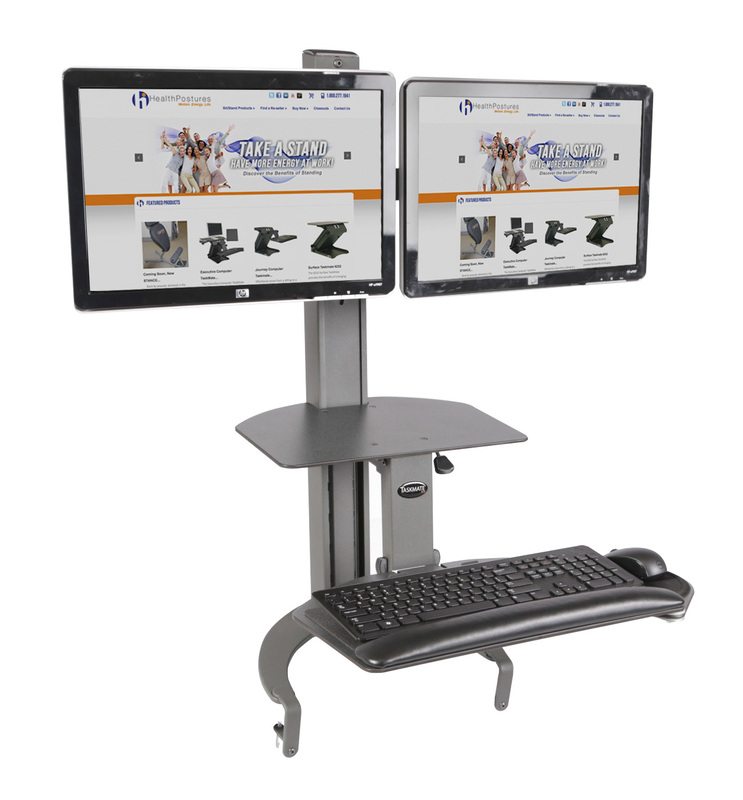 The TASKMATE Go provides dual monitor arm if you need to support two screens. 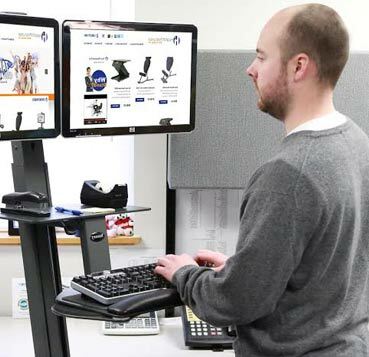 An great option for a sit stand workstation that will work just as hard as you do. 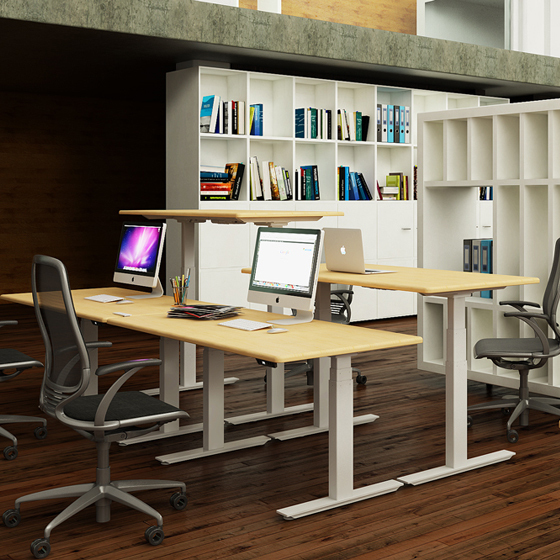 The Taskmate Go is a sleek, cost effective way to enjoy a healthier work-style. 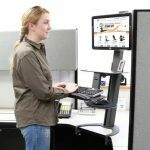 Switch effortlessly from a sit position to standing and have the freedom to move whenever you like.